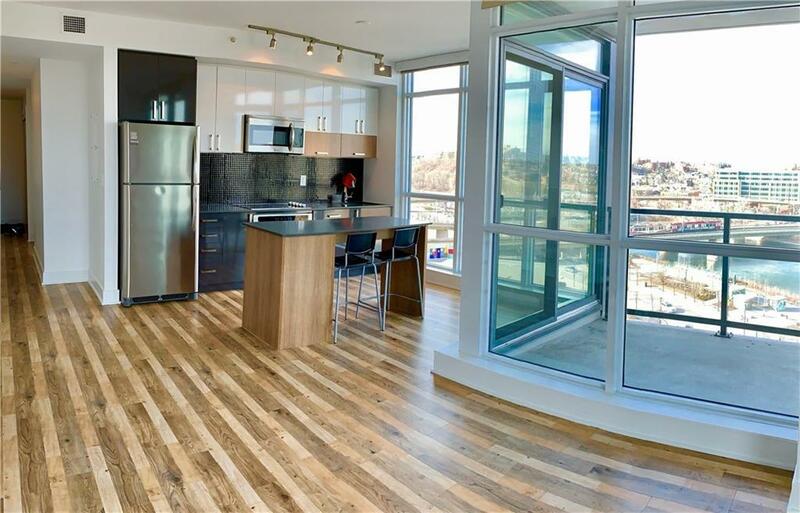 Excellent 11th floor corner unit, 2 bedroom 2 bathrooms. 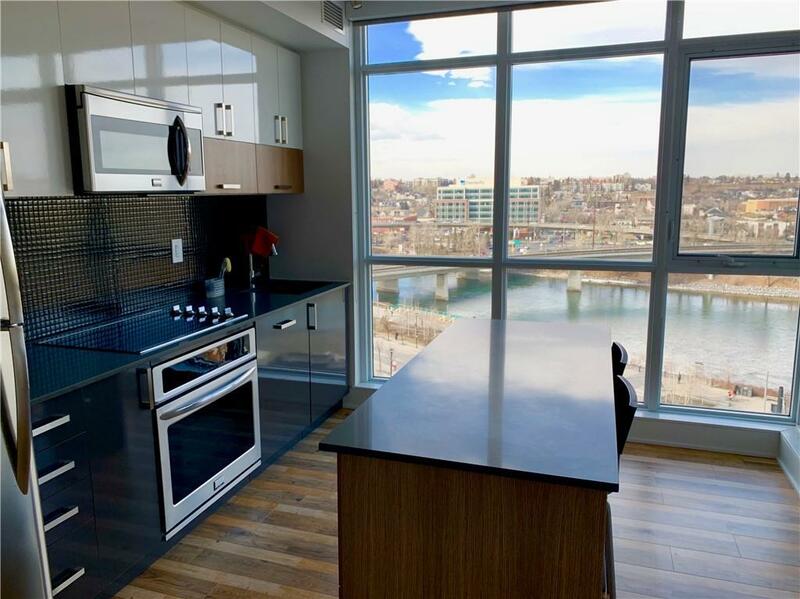 9 ceilings, floor to ceiling windows with spectacular panoramic view, overlooking bow river and St. Patrick island park. 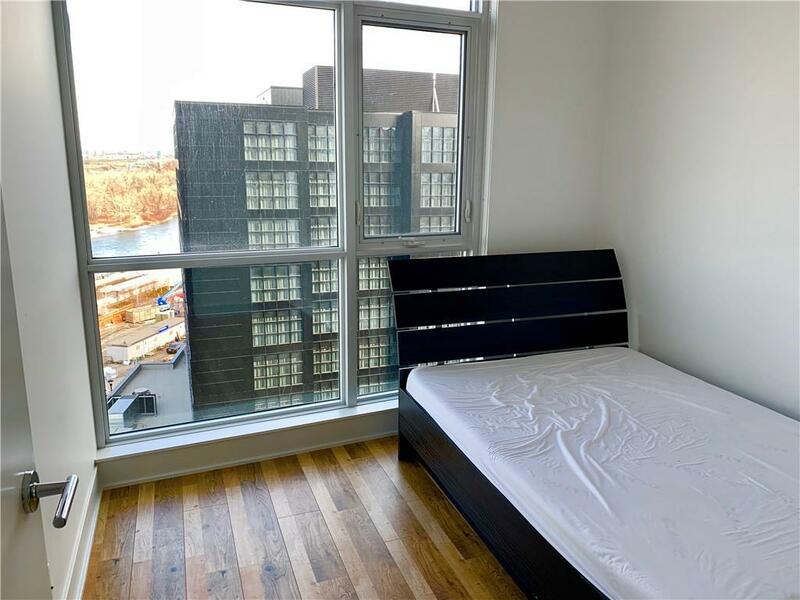 This particular corner unit overlooking the river is quite unique; an opportunity to own it does not come up often. 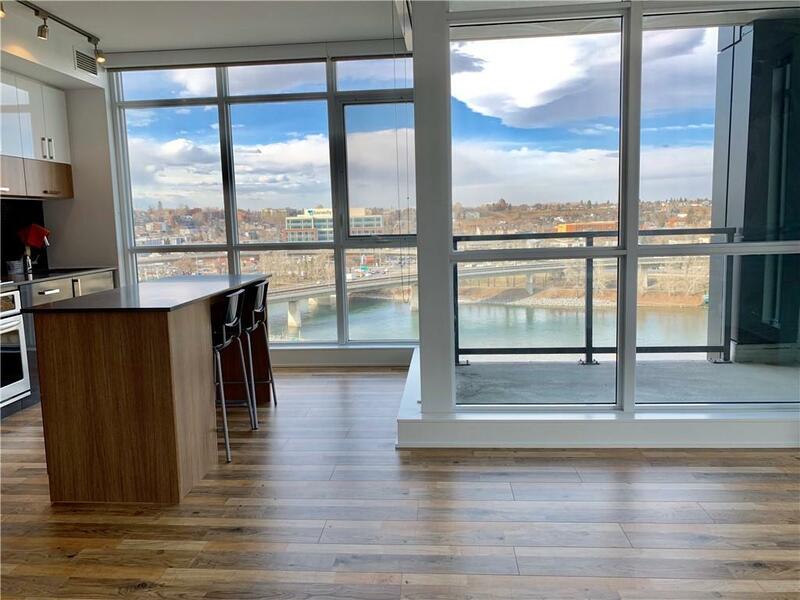 Some features include central a/c for the hot summers, stainless steel appliances, modern design cabinets, walk in closets, and an open concept floor plan. This unit also includes titled heated underground parking stall, and assigned storage. Entertainment room is located on the top floor with indoor and outdoor access; fitness centre is on the 3rd floor. Don't miss this one.